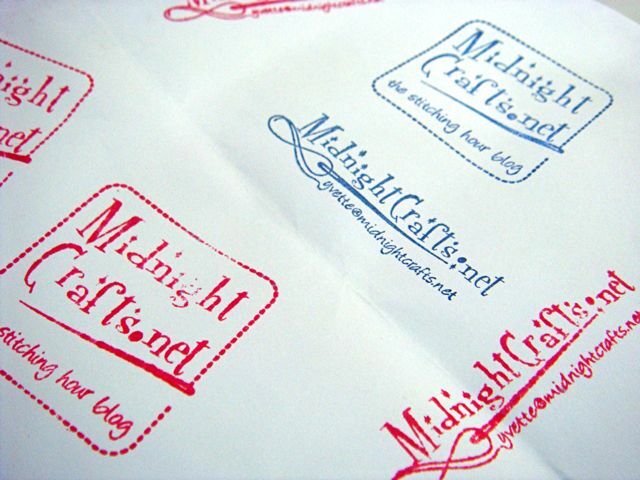 In my packaging for the goodies I sell at my Etsy store, I would include a handstamped Thank You card. Due to the size of the cardstock paper that I use, I can’t put the paper through the printer to include a printed logo on the card. Bummer. Then hubby suggested that I make stamps so that I can make my mark on ANYTHING. What a brilliant idea. Love that chap. Heh heh. Mama G emailed me the artwork which I supplied to the stamp maker. They were ready in just 2 days.